There was a time when the headquarters of a company was a corporate style building filled with tiny cubicles, cork boards, and stacks of paper, but this perception has faded to be something of the past. 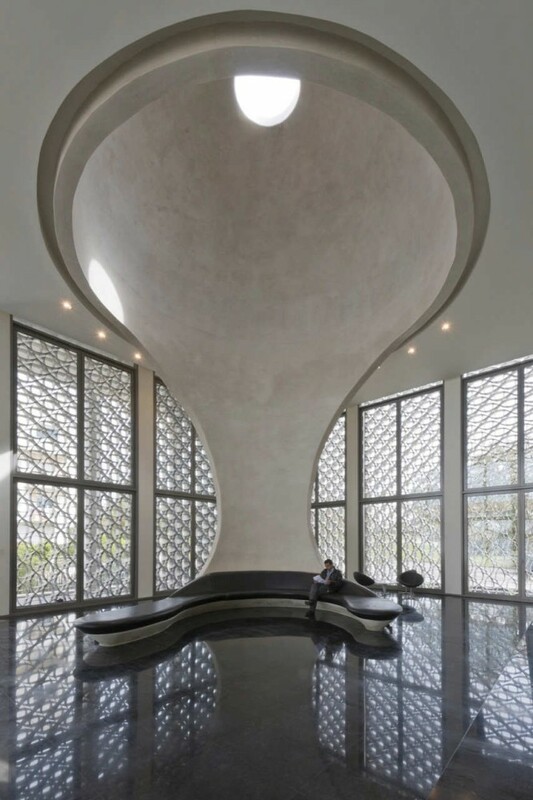 Now, headquarters are grand architectural superstructures that inspire creativity and booming ideas. It is no longer acceptable for the employees of fortune 500 companies to shove their workers into a cream colored, poorly lit, office and expect them to be efficient and eager in their daily activities. 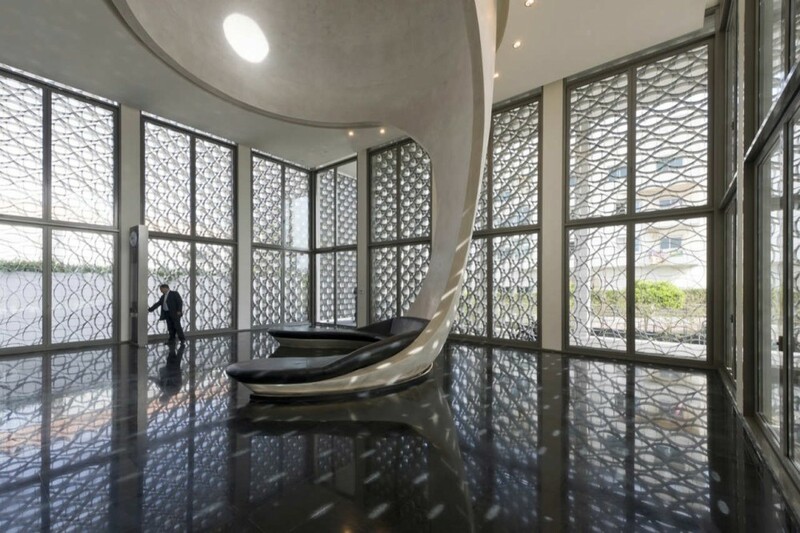 Architectural firms such as Foster + Partners, who recently completed the BMCE Headquarters in Morocco, understand how to create an establishment which encompasses and reflects the soul of a company. BMCE is one of Morocco's leading banks. The company holds its reputation to a high standard, this high standard prompted them to create a series of luxurious flagship branches throughout the country. 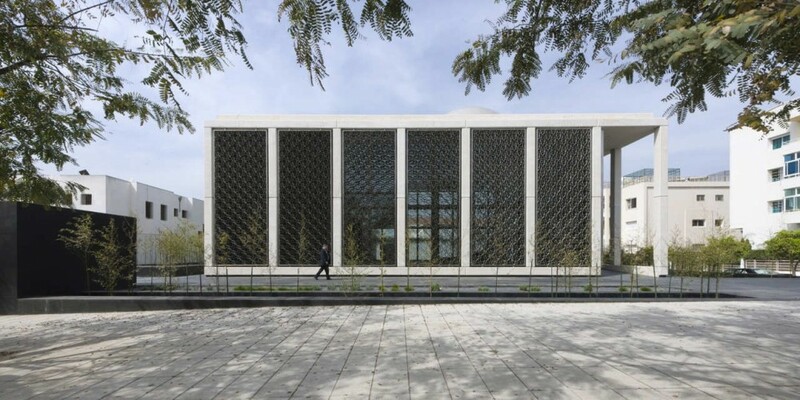 Foster + Partners built this branch, in Rabat, which played with over proportioned scale to evoke a feeling of presence and solidity in comparison to its surroundings. White, Gold, polished black stone, were used as featured materials to create a timeless and luxurious atmosphere. Large stone pillars and glazed windows with huge geometric screens based on Islamic patterns make up the exterior of the building. The screen is made of low-iron stainless steel which is designed to remain cool to the touch. The deep screens provide shade and security, while remaining open enough for workers to still have natural light. The beautiful entrance features a grand seating unit with a back that curves up to the ceiling and creates a dome. 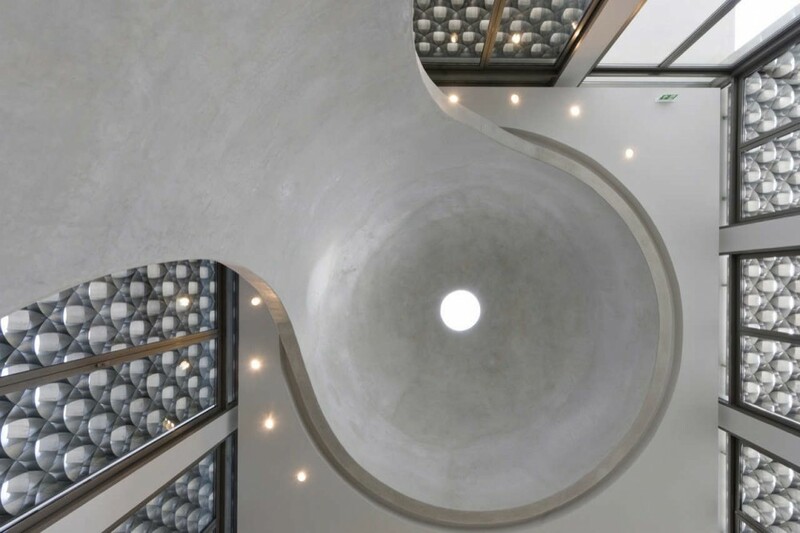 The soffit of the dome is constructed using a local plastering technique called tadelakt. The interiors are contemporary, minimalistic, and sculptural; with its choice of materials and architectural styling. Foster designed the headquarters to live up to the high standards of BMCE while creating an breathtaking space for their employees to work in and be proud of.